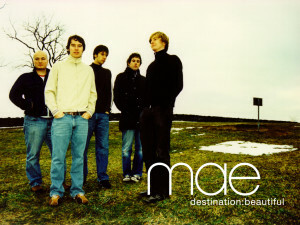 Almost a year since the first pressing of Mae’s Destination Beautiful was released, it looks like there will be a second pressing coming this week! For its first pressing, Spartan Records printed 500 copies in 3 different variants. Those copies are now selling upwards of 100 bucks on eBay. Today, the label announced on Twitter that they would be re-printing the record to another 500 copies. The pre-order goes live Monday morning. A second pressing of 500 copies of @maeband‘s “Destination: Beautiful” on vinyl will be available for pre-order this Monday at 10 AM PST!